There used to be a twin drive-in movie theater just off of US 93 in Braintree, Massachusetts. My parents would take us there on rare, wonderful occasions and I loved it when we drove past it at night; I’d peer out from the backseat window to catch a 5 second glimpse of whatever was playing. Eventually the Braintree drive-in theater closed and it’s now a parking lot for commuter buses, suffering the fate of many drive-in theaters throughout the country. Fortunately Connecticut still enjoys three drive-in theaters and one of them is just north of Torrington in Barkhamsted, Connecticut. 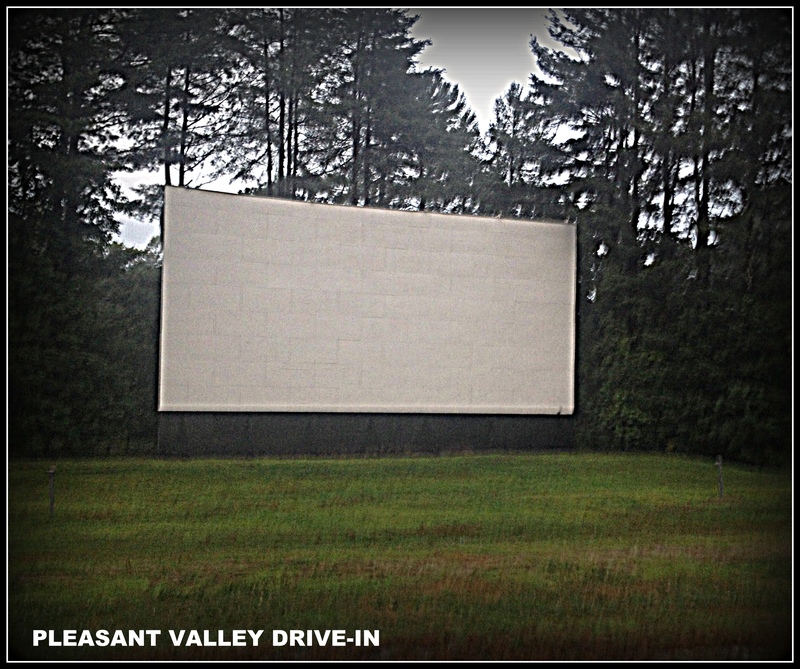 The Pleasant Valley Drive-in was the subject of a community led initiative to save it from closing this year. The drive-in required new digital equipment and there was no way the owners could take on that financial burden by themselves. A dedicated group of northwest Connecticut residents put on an auction/fundraiser at Crystal Peak in Torrington to keep it running and it was successful. My contact with that group was Travis Lipinski, a friend who is part of the Torrington Preservation Trust. It didn’t surprise me that he was involved in saving the drive-in, the TPT is the same group that’s working tirelessly to save Skees Diner. 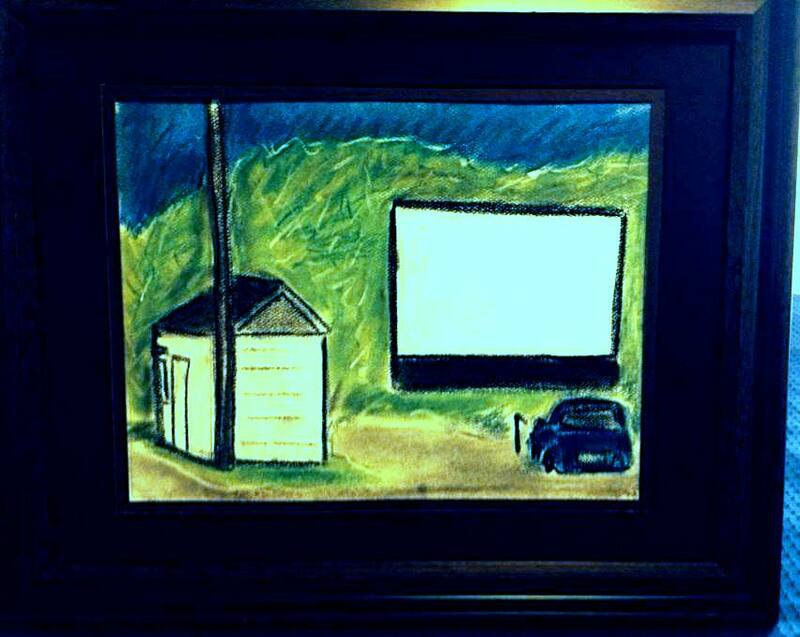 I donated a piece of art (a pastel of the drive in and an original pen/ink) for the auction and sold so I was very happy about that. I really liked that piece and I hope whoever purchased it likes it too. A Friday night rain had ended and the Pleasant Valley Drive-In’s double feature was Disney’s PLANES: FIRE AND RESCUE (at 8:45pm) and GUARDIANS OF THE GALAXY (at 10:25pm). The tickets were reasonable at ten dollars for adults and five dollars for kids ages 6-12. I wondered whether my son could handle the experience because last summer I took them to the Finger Lakes Drive-In in Auburn, New York to see Superman and we had to leave just before the big fight scene. But now he was a year older and since one of his favorite movies was Disney’s CARS, I figured that PLANES was simply CARS in the air and he’d enjoy it better. We drove north on Route 8 to Winsted and turned east onto 44. Now they don’t have a sign for the Drive-In at River road (181), an otherwise unassuming roadway that leads to Pleasant Valley so I passed it and drove all the way to beautiful New Hartford before stopping, pulling over to pull up the address on my phone and then turning around. Now that I’ve been there, I can find it again, but a little signage might attract more customers and benefit this cultural attraction. Our car is the humble Saturn so we chose a space closer to the screen, while large trucks and SUVs park higher up the hill. We saw families playing while others set up their own tailgating experience. The next time we come we might try to set up a picnic environment as well. Despite Pleasant Valley generously allowing patrons to bring their own food, the concession stand did a brisk business and part of the fun is enjoying the hot buttered popcorn. 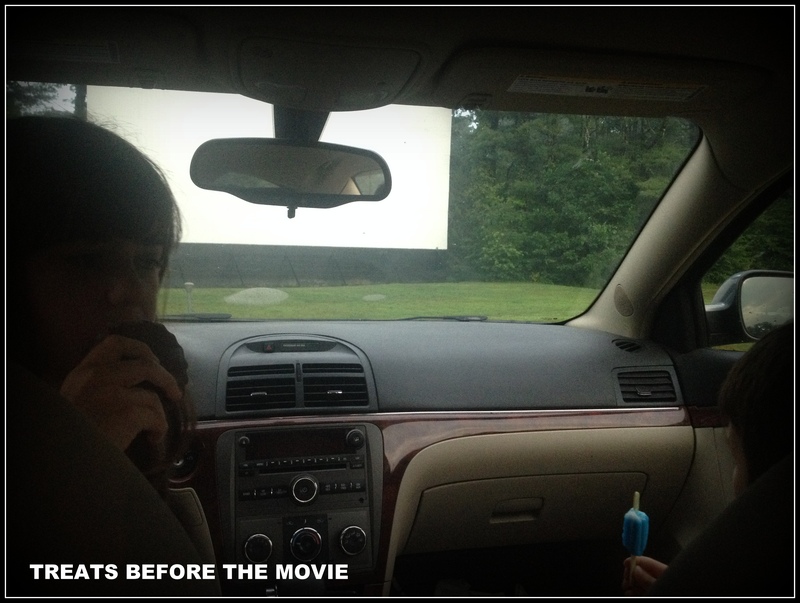 We had forty minutes before the movie started so we walked around and purchased some reasonably priced frozen treats. My son devoured his “Firecracker Jr. popsicle” and then immediately asked to “share” my Klondike bar, which he did. I sat in the back while my son sat in the front passenger seat and my daughter, the older of the two, sat in the front driver seat. We listened to some 50’s music on 87.9 (the station we set the radio to for the show) and five minutes before the movie began we went back to the concession stand to get our bag of hot buttered popcorn and a soda. The screen was illuminated right on time and they played some ads for products before the movie trailers. I don’t have any problem with that; I’d LOVE to see a local ad on the gigantic screen, like one for S & S Sweet Treats or Performance Hub if that could ever happen. Then the movie trailers started. When I was growing up, movie trailers used to be an essential part of the experience, almost as important as seeing the movie itself. I remember the thrill of discovery from a new trailer of an upcoming film but today’s trailers are released almost immediately to the internet so they don’t have the same effect. Still the trailer for “Alexander and the Terrible, Horrible, No Good, Very Bad Day” made my daughter laugh and laugh which was fun to hear. Anyway the movie was perfect for my kids. My son stayed attentive for most of it, much longer than Superman. Towards the end, he climbed into the back and by the end of the movie he was happily asleep. Because he was asleep, I told my daughter we could stay for the second feature, but if he woke up and needed to go home, we’d go home. The deal was made. The second movie was GUARDIANS OF THE GALAXY. I’m a fan of the Marvel movies but couldn’t believe they were making this one. Of ALL the catalogue of characters, why choose this “D-LIST” group starring a talking raccoon? Prior to tonight I had no intention of seeing this movie except for the fact that we were already here and my daughter could handle the comic-book action. But I heard a positive review on NPR about it so I wasn’t totally against it. The amazing thing was by the end I found it was fun, funny, and visually impressive! If you want a fun summer blockbuster movie that doesn’t take itself too seriously, I highly recommend this movie! Starring Chris Pratt from Parks and Rec as human Peter Quill, Zoe Saldana as an assassin with questionable allegiances, and Bradley Cooper as a tough talking CGI raccoon, with a walking tree who says “I’m Groot” and Dave Bautista’s Drax the Destroyer, the dialogue is great, especially between Rocket Raccoon and Peter Quill and the special effects are spot on. In a way it’s a perfect double feature with PLANES: FIRE AND RESCUE; the movie-goer gets exactly what they wanted from the experience. I would not classify either movie as a work of fine art or a classic but not every movie experience needs to be ART or a CLASSIC. My daughter enjoyed this adult movie experience very much. There’s inappropriate language a few times which actually seemed unnecessary and forced (seemingly to get a rating more than needing that language because it was essential for the script) and there’s exciting but violent imagery in the fight scenes but on the whole, children ten (possibly younger depending on the child) or older will love it. Now the after the credits extra scene was the first one in the Marvel movie series that I feel wasn’t worth waiting to see, but that’s me (not a spoiler, just a comment). It was after midnight as we drove home. My daughter laughed and talked about the movie and the characters. I asked which movie was her favorite and she said she liked them both! By their very nature, drive-in theaters call us back to a different time and provide us with that feeling of nostalgia. When I was my daughter’s age I saw ANNIE (the musical) and POPEYE as a double feature in Braintee and my memory of those movies will always carry with them that special quality of being part of a drive-in experience, of walking past the rows of cars at night to the lighted brick building where the concessions were sold, and grabbing a handful of hot buttered popcorn on the way back while seeing people of all age groups congregate outside their vehicles, talking with each other and making a movie experience a community experience . 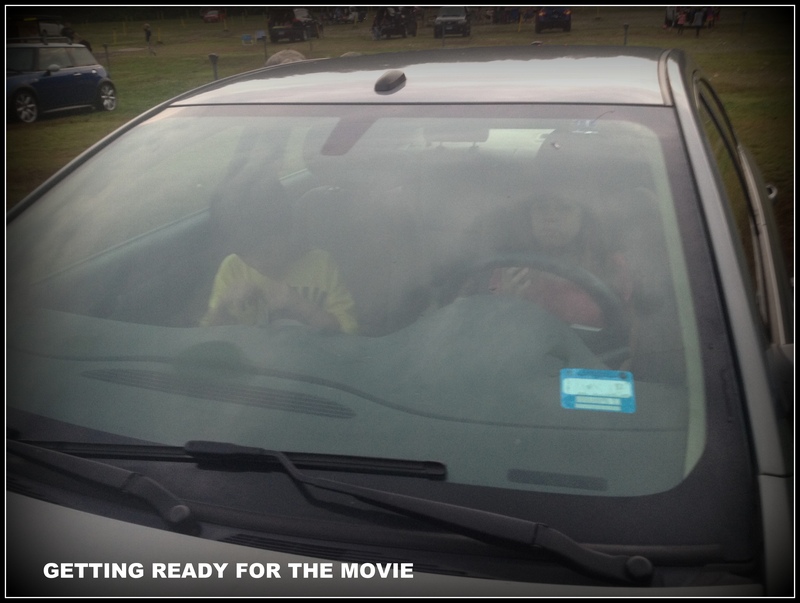 My son and daughter may share those same feelings about PLANES and GUARDIANS OF THE GALAXY and in general about the Pleasant Valley Drive-In as they grow up. The future of Drive-Ins will one day be in the hands of the young people of today who will remember these magical summer nights when anything feels possible and works of wonder are projected onto the giant screen under the stars.